Despite its growing fame in the interior designing world, some people still flinch at the idea of having the color black as the main backdrop of their dining room. Can’t really blame them though , black has always been known as a very interesting color because it can make the space look smaller and at the same time it doesn’t really give off that cheerful vibe that most of us want. While others may go down the neutral color theme, they always prefer white or beige over black. 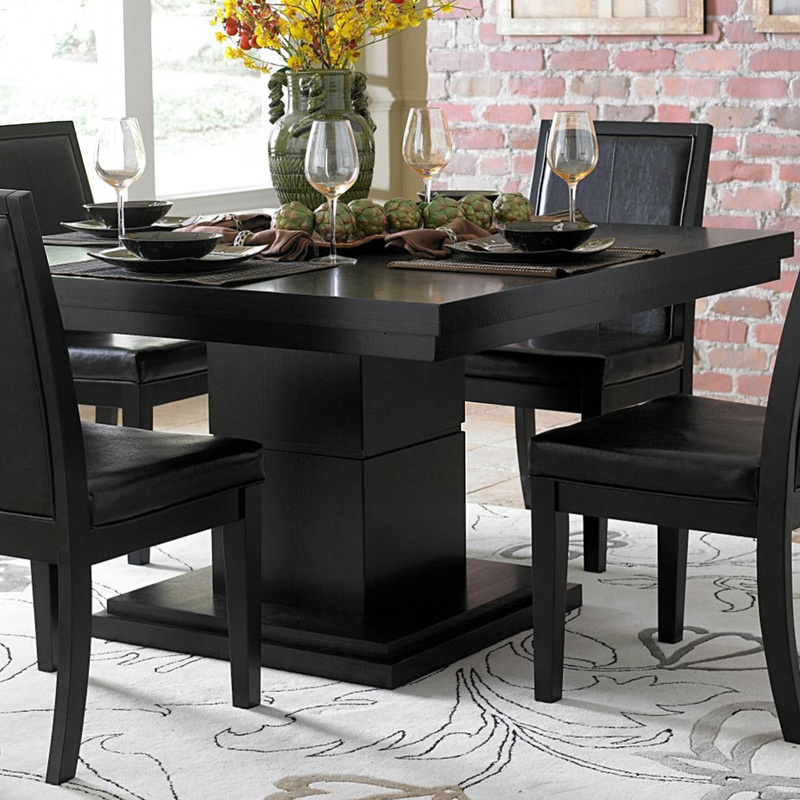 But here’s the thing, black can really work well in dining rooms too. Having this as your primary palette can elevate the entire appeal of your dining room and make it look more elegant and sophisticated. And contrary to the belief, it will actually make your dining look even more contemporary and modern. While we’re at it, I enlisted some of the reasons why Black is a very effective motif for a dining room. You can do a monochromatic dining room – If you’re into monochromatic things, then you’ll surely love the idea of having a monochromatic dining room. You can use different contrasting shades of black and play them with each other, forming an elegant and edgy look for your dining area. It’s easy to incorporate with other things – The great thing about black is that you don’t have to go full dark just for it to look awesome. You can incorporate it with literally almost anything and it will still give off that modern and sophisticated vibe. For example, using black and white marble flooring or even black chairs can add a rich tone to the room. It Never Goes Out Of Style – Black is a timeless color. It can make your dining room look classic. It’s Unique – Just like what I previously mentioned, the trend of using black is still on the rise. Going for a black motif on your dining room will surely put you ahead and can be a great surprise for anyone who will visit your home. It Can Make You Look Like A Professional – Aside from the elegance and the sophistication it brings, having black touches all over your dining room can also make you seem a professional when it comes to designing areas of your house. It’s a mix of futuristic and contemporary design which will ultimately lead in people thinking you have a great style.